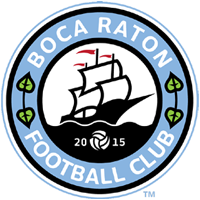 Boca Raton Football Club is among the record-setting 92 teams set to compete in the 103rd edition of the Lamar Hunt U.S. Open Cup, which is set to kick off on May 11. Boca Raton FC enters the tournament after defeating a pair of APSL foes in the qualifying round and will now await the Initial Pair Announcement on April 6 to see who they will face come May 11. The 92 teams is a record in the tournament’s modern era (1995 to present). Berths for teams from the Open Division, which includes clubs from all leagues other than Division I, II and III outdoor professional leagues, have expanded from the 36 announced last September to a modern era-record 48 as a result of the number of First Round places available after slotting Division I, II and III teams into later rounds. As in 2015, teams will be paired geographically from the First Round through the Fourth Round. After the Fourth Round, a geographically-based random draw will take place to determine the Round of 16 matchups and set a fixed bracket to the Final, scheduled for Sept. 21. As announced yesterday, the Third Qualifying Round, which was set to take place April 2-3, is now eliminated due to the expansion of berths for Open Division sides. Teams from local qualifying have been awarded six new slots, allowing all 14 clubs still alive in this qualifying track to be placed directly into the First Round. Boca Raton FC will enter the tournament in the First Round, as will the remaining Open Division teams, Division III (United Soccer League) sides will start in the Second Round, Division II (North American Soccer League) clubs will see their first action in the Third Round and Division I (Major League Soccer) teams will take the field starting in the Fourth Round. This year’s winning team will receive $250,000, a berth in the 2017-18 CONCACAF Champions’ League and have its name engraved on the historic Dewar Challenge Trophy, one of the oldest nationally contested trophies in American team sports. The runner-up will earn $60,000, while the team that advances the furthest from each lower division will take home a $15,000 cash prize. Sporting Kansas City is the defending U.S. Open Cup champion, having won a second tournament title (following its triumph in 2012) after a penalty shootout road victory against the Philadelphia Union on Sept. 30, 2015 at PPL Park, in Chester, Pennsylvania. Participants: 48 Open Division teams (14 local qualifiers, 19 PDL sides and 15 NPSL clubs). Description: Teams will be paired geographically with the restriction that teams from the same qualifying pool (e.g. local qualifiers, PDL, NPSL, etc.) cannot be paired to play each other. Participants: Winners of 24 First Round games are joined by 18 USL clubs. Description: At the time the First Round pairings are made, each USL team will be matched geographically to a specific First Round pairing and be scheduled to play its winner. The remaining First Round matchups not paired with a Division III side will be paired up geographically, with the winners playing each other to complete the round. Participants: Winners of 21 Second Round games are joined by nine NASL sides. Description: After each Second Round matchup has been determined, each NASL team will be paired geographically to a specific Second Round matchup and be scheduled to play its winner. The 12 remaining Second Round matchups not paired with a Division II side will be paired up geographically, with the winners playing each other to complete the round. The Fourth Round winners will be divided geographically (regardless of league affiliation) into groups of four, with teams who are precluded from playing each other until the Final (see list elsewhere) placed in different groups. A random draw will determine the pairings within each group, resulting in a fixed bracket for the remainder of the tournament. Should a precluded pair of teams reach the Semifinal Round and be scheduled to face each other, the matches will be re-drawn after the quarterfinals to avoid this outcome. Note: The day following each of the dates listed above is reserved as a make-up date in the event of a weather postponement. Additionally, any game from the Fourth Round until the Semifinals where one of the participants has a league game the following Friday will be moved up a day (exception to this is when the team’s opponent is scheduled for a league game the preceding Sunday; in this case, the provisions in the Open Cup Handbook to resolve such an issue prevail). Finally, any game chosen by U.S. Soccer to be broadcast nationally is subject to being moved up a day. Premier Development League (19 places): Division Winners: Burlingame Dragons* (Calif.), Charlotte Eagles (N.C.), Des Moines Menace* (Iowa), FC Tucson* (Ariz.), GPS Portland Phoenix (Maine), Kitsap Pumas* (Wash.), Michigan Bucks*, Mississippi Brilla, New York Red Bulls U-23, The Villages SC* (Fla.); At-Large Berths previously awarded: Jersey Express* (N.J.), Long Island Rough Riders* (N.Y.), Reading United* (Pa.), Seacoast United Phantoms* (N.H.), Ventura County Fusion* (Calif.); At-Large Berths newly awarded: Albuquerque Sol FC (N.M.), Cincinnati Dutch Lions (Ohio), Portland Timbers U-23, Sounders FC U-23. The PDL is a nationwide league affiliated with the U.S. Adult Soccer Association and opted to use 2015 league results to determine its qualifiers for the 2016 Open Cup. National Premier Soccer League (15 places): Qualified via 2015 NPSL playoffs: AFC Cleveland (Ohio), CD Aguiluchos USA (Calif.), Chattanooga FC* (Tenn.), Clarkstown SC Eagles (N.Y.), Indiana Fire, Myrtle Beach Mutiny (S.C.), Sacramento Gold (Calif.); At-Large Berths previously awarded: Atlanta Silverbacks Reserves, FC Wichita (Kan.), Fredericksburg FC (Va.), Miami Fusion FC; At-Large Berths newly awarded: Chesterfield United FC (Va.), Corinthians FC of San Antonio (Texas), Detroit City FC*, Kraze United (Florida). New York Cosmos B and New York Athletic Club, previously awarded places in the 2016 competition, have withdrawn. The NPSL is a nationwide league affiliated with the U.S. Adult Soccer Association and opted to use 2015 league results to determine its qualifiers for the 2016 Open Cup. In the instances listed above, the lower-division teams are allowed to participate per Section 202(d) of the Open Cup Policy (which limits an organization to fielding its top professional team when owning more than one pro side) because the teams either do not share an ownership affiliation (in the case of Houston and Rio Grande Valley FC) or are not professional teams (in the case of PDL squads).